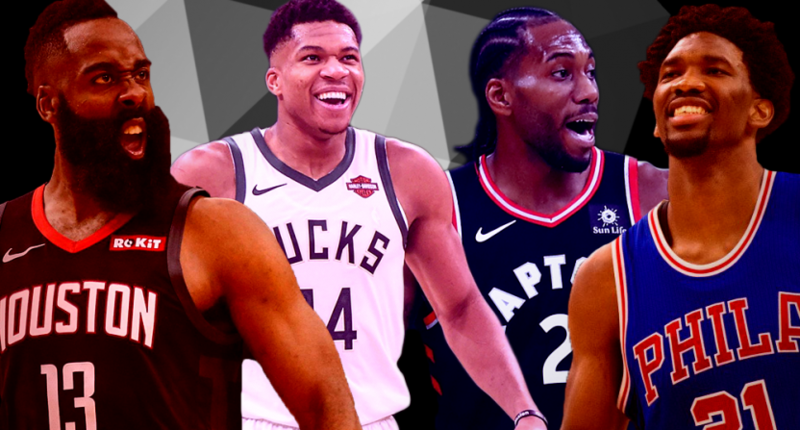 The NBA trade deadline came and went on Thursday, and while there will surely be a few notable moves in the buyout market, we basically know what the teams will look like for the remainder of the season. There were some substantial trades that particularly boosted the rosters at the top of the Eastern Conference, but Anthony Davis wasn’t among the names dealt. Had Davis gone to a contender, that could’ve had a drastic impact on the title-contending outlook in the NBA. For example, the Los Angeles Lakers would’ve jumped into the mix on paper, solely for having Davis and LeBron James, even if the rest of the roster was more or less gutted from the trade. Instead, they’re an extreme longshot to contend for a championship, and they may not even make the playoffs. Once the trade deadline passed, new NBA title odds were released from various sportsbooks, such as SuperBookUSA. The Golden State Warriors are far and away the favorites with 2/5 odds, and only nine other teams have odds of 40/1 or better. On the surface, it’s hard to see anybody beating Golden State in a playoff series. The Warriors have won back-to-back championships, three titles in four years, and added DeMarcus Cousins to a roster that already had Steph Curry, Kevin Durant, Klay Thompson, and Draymond Green. They’ve been careful with playing time for the stars, didn’t have Cousins active until late January, and still have the best record in the West. They’re No. 1 in offensive efficiency by a wide margin. Beating this team in a playoff series would likely involve an injury to Curry or Durant, and an opponent playing great basketball over seven games, and likely take the Warriors playing a poor series. And these of course are things you can’t assume. But sure, it’s absolutely possible the Warriors could be beaten, and there are several teams that could provide a challenge. Using the odds posted above, we’ll take the nine other teams that have 40/1 odds or better and rank them by who’s best-built to beat Golden State in a playoff series. The Jazz (32-24, No. 6 in West) are your classic “good regular-season team that likely doesn’t have the star power to make it past the second round in the NBA Playoffs.” Utah has largely been bumslayers this season, with a 15-18 record vs teams above .500, and 17-6 vs teams below .500. Second-year guard Donovan Mitchell just had a fantastic January averaging 27.7 points per game, and Rudy Gobert has been a very efficient big man this season, averaging a double-double (15.2 points, 12.8 rebounds) and 2.2 blocks. But Donovan Mitchell and Rudy Gobert being your two best players won’t get it done vs the Golden State Warriors in a playoff series. In terms of overall *teams*, the Lakers (28-28) may not even be in the top-15. But the Lakers have LeBron James. We’ve already witnessed LeBron put together an absurd performance to beat the Golden State Warriors in a playoff series and win the 2016 NBA title with the Cleveland Cavaliers. Even at 34, he’s arguably still the best player in the world. We just saw how much he’s capable of elevating the Lakers and beating good teams in his triple-double performance to lead Los Angeles to a road victory over the Boston Celtics on Thursday night. LeBron, after 28-12-12, says he’s not yet 100%. He’s so scary. The Lakers are a very flawed and very young roster, but when you have LeBron, you always have a *chance*. But first they just need to even get into the playoffs, and they’re currently 2.5 games behind the No. 8 seed in the West. The Nuggets (37-18) really need to get the No. 1 seed in the West, and are currently three games back of the Warriors. At home, the Nuggets are extremely difficult to beat, with a 23-4 record- that’s the best home mark in the NBA. The Pepsi Center is a very loud and intimidating environment, and the Denver altitude factor can be a problem for their opponents. But on the road, the Nuggets are mediocre, with a 14-14 record. Their last three games are losses, all on the road. So, if they don’t finish with a better record than the Warriors, they’d have to beat Golden State in a best-of-seven series with four of a potential seven games at Oracle Arena. There’s also the fact that the Warriors went into Denver and annihilated the Nuggets 142-111 in January. The Nuggets run their offense through the exceptionally talented big man Nikola Jokic (fourth in the NBA in Player Efficiency Rating at 27.48), but this style of basketball can be difficult to get deep into the playoffs in today’s game (though big men usually don’t pass and offer guard-esque skills that Jokic does). Denver’s Pace Factor (the number of possessions a team uses per game) ranks 28th of 30 teams. To have a chance vs the Warriors, the Nuggets would likely have to get better-than-usual production from guards Jamal Murray and Gary Harris. Denver is a very good team and may be the next force in the Western Conference, but they’re probably still at least one year away from realistic title contention. Five Thirty Eight only gives them a 2% chance to reach the Finals. Oklahoma City (36-19) has two players very capable of being the best player in a seven-game series against anybody, in Paul George and Russell Westbrook. George is on an absolute tear right now, and that would likely be getting more attention if not for James Harden’s historically insane run. George’s crazy hot stretch has led the Thunder to wins in 10 of their last 11 games. The metrics also like what the Thunder have going on. Oklahoma City ranks third in defensive efficiency, and Five Thirty Eight gives them a 6% title chance (13% to reach the Finals over the Warriors), good for the fourth-best odds. It’s unlikely this team outplays the Warriors over seven games, but we know the Thunder have the *ability* to do so, at least. This feels too high, right? The Rockets (32-23) have more or less been a one-man team for much of this season. But that one man is James Harden, and what he’s doing right now is out of this universe. Harden can take over a series, and the Rockets just took the Warriors to a seven-game series last year. Yes, this year’s team isn’t as good, and Chris Paul has been injured for much of the season and mediocre when he does play. But it shouldn’t be all that surprising if the Rockets get hot — or if Harden just goes off — and at least give the Warriors a real challenge. The last two games — losses to the Lakers and Clippers in Boston — pretty much summarize a fairly disappointing season for the Celtics (35-21). Boston went 55-27 last season, and it was assumed they’d be a better title contender this time around with the return of Gordon Hayward and expected growth from young players. There’s still plenty of time for the Celtics to show that they’re the team they were supposed to be.The pieces are in place for this team to make a big jump at any point, but we have to see it first. Boston’s chances for playoff success would also seemingly be boosted by a well-rounded team that ranks top 10 in most advanced stats on both sides of the ball, and they certainly have star talent led by Kyrie Irving. Jayson Tatum is a crazy talent that is still just 20 years old, but he’s been inconsistent and less efficient as a shooter in his sophomore campaign. But maybe Tatum turns it on in the playoffs and gives the Celtics another true star to put next to Kyrie and give the Warriors real problems in the Finals. Toronto (41-16) has the NBA’s third-best record, just three percentage points behind the Warriors when looking to potential home court in the NBA Finals. The Raptors have been terrific at home (22-5), and their road success (19-11) is also an encouraging sign when looking toward the playoffs. The Raptors also won both games vs the Warriors this season, with the most recent matchup being a 20-point win at Oracle Arena in December. After annual postseason failures, the Raptors have a better chance to contend for a title this season, thanks mainly to the offseason acquisition of the Kawhi Leonard. The NBA’s best two-way player is averaging 26.9 points and ranks fifth in the NBA in PER (26.19). And while there’s no stopping Kevin Durant, perhaps Leonard could at least slow him down. The Raptors also added veteran big man Marc Gasol — a three-time All-Star and the 2013 Defensive Player of the Year — at the trade deadline to boost their frontcourt. The 76ers (36-20) were already a dangerous team on the rise entering the season, and then they traded for Jimmy Butler and Tobias Harris in-season. Philadelphia now has an absurd starting lineup, of Butler, Harris, Ben Simmons, JJ Redick, and Joel Embiid. But can this team get the necessary chemistry together quickly with the new faces? These are all players that are used to being a primary scoring option, and sometimes that can be tough in terms of sharing the ball and everyone accepting their roles. Additionally, the deep playoff experience isn’t here, and we know that’s something that can’t be simulated in the regular season. But from a talent standpoint, the firepower is absolutely here for the 76ers to give the Warriors trouble, perhaps more than any other team on paper. The Bucks have the NBA’s best record (41-14). They have the NBA’s best point differential (+9.7) and are second in the NBA in points scored (117.2, behind only the Warriors). They have the NBA’s second-best home record (23-5) and the best road record (18-9). They have the NBA’s best record against teams .500 or better (16-7). They blew out the Warriors 134-111 at Oracle Arena in November. The Bucks rank No. 1 in the NBA in defensive efficiency, and are only behind the Warriors in effective field go percentage and true shooting percentage. They’re second in the NBA in three-pointers made per game (12.1), and they boosted that area of their game at the trade deadline with the addition of stretch four Nikola Mirotic (16.7 ppg; attempts 7.2 three-pointers per game and shoots 36.8% from behind the arc). Oh, and they have Giannis Antetokounmpo. The Greek Freak is averaging 27.2 points (58.0 field goal percentage), 12.5 rebounds, 5.8 assists, and is third in the NBA in PER (30.05). The 6’11” Antetokounmpo is usually the best player on the floor, and could easily be the best player in a series against the Warriors. And he’s surrounded by a team with a versatile offensive skillset that can keep up with the Warriors. The Bucks are fast, athletic, rebound well (second in the NBA in rebound rate), and have the rare ability to match the Warriors’ outside shooting. The Bucks seem to only be getting better as the season goes on (and especially now with the Mirotic addition), and appear to be the most dangerous matchup for the Warriors right now.